BMW renews ‘M' car driving experiences at prestigious UK MotorSport Vision circuits. Following three successful years BMW UK has renewed its partnership with MotorSport Vision (MSV), and will continue to offer high octane ‘M' car thrills on some of Europe's best circuits for the next three years. 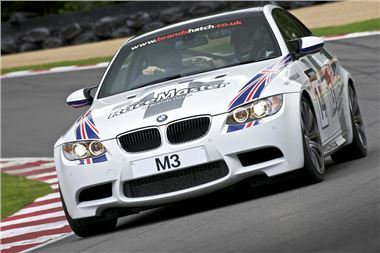 BMW's class-leading M3 Coupé features as part of the ever-popular RaceMaster driving experience at Brands Hatch in Kent and Oulton Park in Cheshire. Thrill-seekers on this package also get the opportunity to drive some flying laps in an F1-style single-seat race car. Additionally MSV will continue to offer M3 Master, an exclusive M3-only experience at Bedford Autodrome, Brands Hatch and Oulton Park allowing drivers even more time behind the wheel. The BMW M3 Coupé will also continue to feature in MSV's adrenaline-fuelled PalmerSport corporate driving events at Bedford Autodrome. The renewed partnership will see BMW provide race meeting safety vehicles located at five MSV circuits - Brands Hatch, Oulton Park, Snetterton, Cadwell Park and Bedford Autodrome. Six M3 safety cars, four X5 medical cars and four X6 course vehicles will be utilised across more than 120 events each season. Jonathan Palmer, Chief Executive of MotorSport Vision, said: "I am delighted that MSV is continuing its long term partnership with BMW. Through sustained commitment to engineering excellence, BMW had an outstanding product range of world-leading performance and efficiency, which makes the perfect partner for MSV. "The BMW M3 is one of the most exciting cars in the world and to drive it at one of our circuits is an experience of a lifetime for our customers. We are extremely proud of our range of superb BMWs used across MSV circuits and these reflect our values of unrivalled performance and quality." For further information on MotorSport Vision driving experiences visit www.msvdrivinggifts.com Information on the latest BMW M products can be found at www.bmw.co.uk/m.